How do I start a Divorce Proceedings in Singapore? All documents for the divorce proceedings have to be filed electronically through your lawyers or a service bureau. After filing of the above documents, the Plaintiff will serve on the Defendant. What are the Singapore courts system over family law matters such as divorce? Family Division of the High Court. These courts handle all family-related proceedings including divorces, children and parental rights, juveniles and youths, probate, succession and mental capacity proceedings. Can I apply for a Singapore divorce myself? You may prepare your own divorce documents and file through a eLitigation service bureau, or engage a lawyer to represent you. 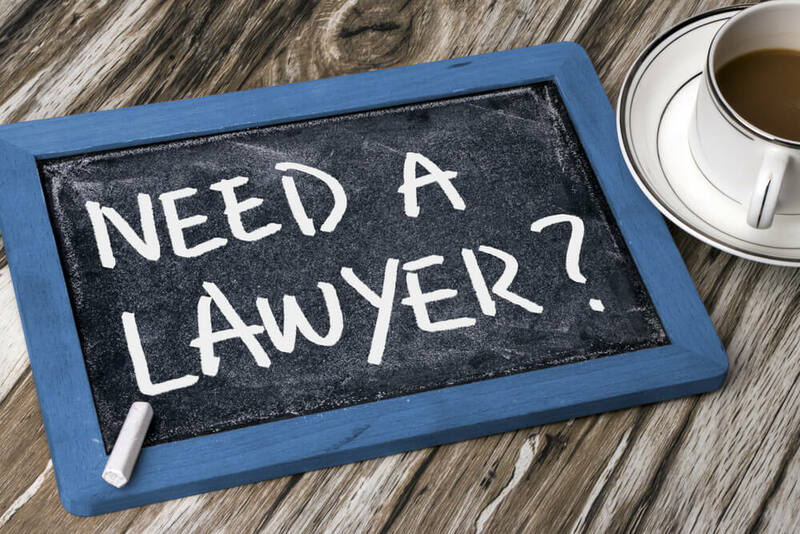 As there are complex court procedures and documents, it is advisable that you engage a lawyer, but if you can’t afford a lawyer, you may wish to approach the Legal Aid Bureau for assistance. To commence the divorce proceedings, you will need to Writ for Divorce, Statement of Claim and Statement of Particulars in the Family Justice Courts. Please also not that the Courts cannot give you any legal advice on the divorce law or the procedures. Are there any pre-conditions before I can file an Application for Divorce? My marriage is under 3 years, can I divorce? If you have been married for less than three years, and want to apply for a divorce, you must get the Court’s permission to make your divorce application, called leave of Court. The Court will consider whether it is still possible for you and your spouse to reconcile. The Court will also consider the interests of your children, if there are any. You must apply for leave of Court by Originating Summons. The Originating Summons must be supported by an affidavit. I can’t find my wife, can I apply for a Divorce? You may proceed to commence your Singapore divorce application, but you will need to serve the relevant court papers on your spouse (the Defendant) in accordance with the relevant rules of Court. It is advisable to consider if you wish to remain married to your wife, and also the ancillary issues relating to the children, property and maintenance. You should not oppose simply because of emotion, pride or anger, as opposition to a divorce will lead to unwanted consequences, such as acrimony, emotional distress, increased legal costs and expense. If you wish to defend the divorce, you should ensure that you followed the proper court procedures by defending the divorce. You should file a Memorandum of Appearance and a Defence within the relevant time period. If you simply ignore the Court case, the Court may decide the application without you. You may find that your marriage has been legally ended, and that certain orders have been made on the children, property and maintenance. These orders will still be binding on you even if you were not at the Court hearing. If you only wish to deal with the ancillary matter, you should file the Memorandum of Appearance indicating which issues you wish to be heard on. After the Interim Judgment, the Court will call an Ancillary Matters case conference, and ask you to file an Affidavit of Assets and Means. I wish to come to an agreement with my spouse without having it being contested, how do I do that? Contested divorce and ancillary matters hearings take a long time, are much more costly, and can be acrimonious. It is best for you, your spouse and your children if you are able to agree on how to move forward with a divorce, and come to certain consensus. The Family Relations Centre of the Family Court is dedicated to helping you and your spouse come to an amicable arrangement on the divorce and ancillary matters. You can make a request for a Resolution Conference with a Judge of the Family Relations Centre. You can also make a request for counselling at the Family and Juvenile Justice Centre of the Family Court. What non-court-based processes exist to resolve marital disputes? Are foreign marriages or civil partnerships recognised? A foreign marriage may be treated as invalid for lack of capacity or other grounds of invalidity under the law of the place where the marriage took place. Formal validity of a foreign marriage is governed by the law of the place where the marriage was carried out. A foreign marriage is valid under Singapore law if both parties have capacity to marry under the laws of their respective country. Singapore does not recognise civil partnerships. Marriages between persons of the same gender are void under the Women’s Charter. What are the main requirements for local courts to have jurisdiction in relation to Singapore Divorce proceedings? Habitually resident in Singapore for at least three years before the start of proceedings. No writ for divorce can be filed unless at the date of filing, 3 years have passed since the date of the marriage. There are exceptions, for example, a writ for divorce can be filed before 3 years years have passed on the grounds of exceptional hardship suffered by the claimant or exceptional depravity on the part of the defendant. Who are the parties in a Divorce Application? If the Divorce is based on the factual situation of Adultery, the 3rd Party may be named in the Application (Writ for divorce) and he or she is known as the “Co-Defendant”. What are the ground(s) for Divorce in Singapore? By Adultery, this means that your spouse has committed adultery, and you find it intolerable to live with him or her. For Unreasonable behaviour, it means that your spouse has behaved in such a way that you cannot reasonably be expected to live with him or her. By Desertion, it means that your spouse has deserted you for at least two years. For 3 years’ Separation, it means that your spouse agrees to the divorce, that you and your spouse have been separated for at least three years. For 4 years’ Separation, it means that your spouse does not agree to the divorce, that you and your spouse have been separated for at least four years. What are the defences to the grant of a decree of Nullity? If the Plaintiff knew of the circumstances whereby he or she could have avoided the marriage but conduct himself or herself such as to lead the Respondent reasonably to believe that the Plaintiff would not seek to do so; and that it would be unjust to the Defendant to grant the decree. What is the effect of Annulment? A decree of Nullity shall operate to annul the marriage with respect to any time after the decree has been made absolute (i.e. final). Notwithstanding the decree, the marriage is treated as if it had existed up to that time. What is the status of any child of a marriage that has been annulled? Notwithstanding the annulment, as at the date of the decree, the child shall be deemed to be their legitimate child (if the child would have been the legitimate child of the parties to the marriage if it had been dissolved (by way of divorce) instead of being annulled. What are the grounds for annulling a marriage? A spouse can file for a judgment of nullity in respect of his or her marriage (section 104, Women’s Charter). A marriage may be held void or voidable. Either party is below the age of 18. The parties are within prohibited degrees of relationship as set out in the Women’s Charter, and have not obtained a special statutory marriage licence to wed. Either party has committed bigamy. The marriage is not formally solemnised. Non-consummation owing to the incapacity of either party to consummate it or wilful refusal of the defendant to consummate it. Either party not validly consenting to the marriage, whether as a consequence of duress, mistake, unsoundness of mind or otherwise. Either party, although capable of giving a valid consent, suffering (whether continuously or intermittently) from a mental disorder so as to be unfit for marriage. The defendant suffering from venereal disease in a communicable form. The defendant being pregnant by some person other than the claimant. A claim that a marriage is voidable can be defeated if it can be shown that the claimant, knowing that it was open to him to have the marriage avoided, so conducted himself to lead the other spouse reasonably to believe that he would not seek to do so. Claims for nullity (on the second to fifth grounds above) must be made within three years from the date of marriage. Can I reconcile with my spouse after signing a Deed of Separation? You may reconcile with your spouse even after signing the Deed of Separation. Alternatively, you may proceed with your divorce after 3 years (if your spouse consents) or 4 years (if your spouse does not). You may wish to be separated from your spouse for a period of time before you decide on a divorce. In the meantime, the parties can still work out on reconciliation. In this case, you may sign an agreement called a Deed of Separation which will set out the terms and conditions governing the relationship between you and your spouse during the period of separation. Both parties may mutually agree on an arrangement for the custody care and control of the children (minor), maintenance of a spouse and/or children and division of the matrimonial assets in the event of a divorce. A Deed of Separation is a private document, and not lodge with any government departments, and the Separation Deed may be revoked at any time with the consent of both parties. Although the parties may have mutually agreed to the terms in the Separation Deed, either party can still apply to have any of the terms set aside by the Family Court (unless the Deed of Separation was sanctioned by the Court). What is an Order for Imprisonment? This Order is usually used as the last resort, which means that the Court will sentence the Defendant to a term of imprisonment. Such order is usually not beneficial to the wife, ex-wife or children because if the husband or father is in prison, he is unable to earn any income. What are matrimonial assets for division upon divorce? The asset is ordinarily used or enjoyed by both parties or one or more of their children for shelter or transportation or for household, education, recreational, social or aesthetic purposes. The asset has been substantially improved during the marriage by the other party or both parties. Any asset acquired at any time by gift or inheritance is not divisible, unless substantially improved during the marriage by the other party or by both parties to the marriage. What are the statutory criteria to be considered by the Court in division of matrimonial assets? Extent of contributions in money by either party. Parties’ property or work to the acquisition, improvement or maintenance of marital assets. Debts or obligations undertaken for the benefit of the family. Extent of contributions to care for the family and relatives. Income, earning capacity and financial needs of the parties in the foreseeable future. What powers do the courts have to allocate financial resources and property on the breakdown of marriage? The Singapore Court, when granting a judgment of divorce, judicial separation or nullity of marriage, has powers to order the division or sale of matrimonial assets, in such proportions as the Court thinks just and reasonable. What are Ancillary Matters during Marriage? During the subsistence of a Marriage, the husband has an obligation to maintain his wife and children. What is Singapore Court’s position on division of matrimonial assets? Generally for short, childless marriages, a wife tends to get a share of the matrimonial assets which is close to her direct contribution to their acquisition and where possible, lump sum maintenance. In the division of matrimonial assets in long marriages “the proportion awarded to homemaker wives who have made modest financial contributions for marriages lasting 17 to 35 years with children, ranged between 35% to 50% of the total matrimonial assets, but subject to exceptions. The Singapore Court emphasised the need for a holistic assessment of direct monetary contributions and all other indirect contributions in deciding on the division of assets. What is a Writ of Seizure & Sale Order? The husband’s or father’s personal property is seized and will be sold to pay for arrears of maintenance. It means the husband’s or father’s employer is ordered to keep a part of his salary to pay for the maintenance. If he leaves his employment, a new order has to be obtained against his new employer. What are the powers of the Court in enforcement? Does the Court have the power to vary a Maintenance Order made by it? Does ongoing spousal maintenance operate following marital breakdown? Only wives can claim spousal maintenance. Maintenance can be claimed on an interim basis pending the hearing of matrimonial proceedings and at the final hearing of ancillary matters. The court must have regard to all the circumstances of the case when awarding maintenance (section 114(1), Women’s Charter). This includes income, earning capacity, property, the parties’ age, financial resources, needs and obligations, the standard of living of the family before the breakdown of the marriage, the duration of marriage, any disability and financial and non-financial contributions. Parties should be, as far as is practicable, put in the financial position they would have been in had the marriage not broken down and where each party properly discharged his or her financial responsibilities to the other (section 114(2), Women’s Charter). There is no broad principle that a husband who has not maintained a wife during the marriage is automatically absolved of the need to do so after a divorce. In addition, a former wife must, where possible, make reasonable efforts to secure gainful employment and contribute to preserve her pre-breakdown lifestyle. The court assesses the reasonableness of a spousal maintenance claim taking into account the husband’s ability to pay . Can I claim for maintenance on marital breakdown? Maintenance is often claimed and awarded pending the conclusion of matrimonial proceedings as part of the ancillary matters. What are Ancillary Matters after a Divorce? What is a child of marriage in a divorce proceedings in Singapore? A child of the marriage is any child of the husband and wife, including any adopted child and any other child (whether or not a child of the husband or of the wife) who was a member of the family of the husband and wife at the time they ceased to live together or at the time immediately preceding the institution of the proceedings, whichever first occurred. Can you explain the basis of child maintenance in Singapore upon divorce? The court can order a parent to pay maintenance for the benefit of a child of the marriage who is under the age of 21 during matrimonial proceedings. Child maintenance can be sought on an interim basis and at the final hearing of ancillary matters. Has a mental or physical disability. Is undertaking compulsory military service. Is undertaking educational or vocational training. What is the legal position in relation to custody or parental responsibility following the breakdown of a relationship or marriage in Singapore? Both parents must maintain or contribute to the maintenance of their children. In assessing maintenance, the Court will have regard to the parent’s means and station in life. What is the legal position in relation to access or contact or visitation following the breakdown of a relationship or marriage in Singapore? The court has the power to place a child in the custody of either parent. A parent with custody over the child has control and responsibility over the upbringing, education, health and religion of the child. A parent with care and control of the child has the right to make daily decisions about a child’s upbringing. This right naturally belongs to the parent with whom the child lives. The court usually grants access to the parent who does not have care and control of the child. Access gives the parent a right to regular contact with the child. Access can be unsupervised, but is usually supervised if there are risks of emotional, physical or sexual abuse. The Singapore court has endorsed the concept of joint parental responsibility, even where there is acrimony between the parents. Singapore courts now generally place children in the joint custody of both parents. Courts may not order joint custody in exceptional circumstances such as physical, sexual or emotional abuse of the child by one parent, or where the relationship between the parties is such that co-operation is impossible. Orders for joint care and control are comparatively rare in Singapore. In deciding which parent should be given care and control of the children. A post-nuptial agreement is a legal agreement made between individuals who are already married. The agreement usually sets out how the couple wish their assets to be divided between them if they later separate or divorce. Some post-nuptial agreements also detail how the couple currently arrange their finances and how this will continue or change during the marriage. To what extent are pre-nuptial and post-nuptial agreements binding? Singapore law does not treat pre-nuptial and post-nuptial agreements as being automatically binding. Spouses may challenge such agreements, as these are subject to the scrutiny of the court, to determine whether and to what extent pre- and post-nuptial agreements are enforceable. Singapore courts have long held that pre-nuptial agreements that enable a spouse to negate a marriage and its legal obligations are against public policy and unenforceable. However, agreements that regulate marital relations (for example, dictating how the couple should live and conduct themselves as spouses in line with Chinese customary practices) are not invalid. The courts have jurisdiction to review and vary agreements relating to maintenance and custody. When exercising powers to divide marital assets, the court must have regard to any agreement between the parties regarding the ownership and division of matrimonial assets made in contemplation of a divorce. A pre- or post-nuptial agreement cannot be enforced in and of itself. Such an agreement is just one of the factors considered by the court in exercising its power to divide the matrimonial assets. A valid agreement will, to the extent that it is considered relevant, be reflected in an order of the court. Such an agreement cannot exclude the jurisdiction of the court. A pre-nuptial agreement is a legal agreement made between two individuals before their marriage has taken place. The agreement usually sets out how the couple wish their assets to be divided between them if they later separate or divorce. Some pre-nuptial agreements also detail how the couple currently arrange their finances and how they will arrange their finances during the marriage. What can the Court do if it is in the opinion that there is a possibility of a reconciliation? It is to be noted that anything said or discussed (including admissions) in the course of an endeavour to effect a reconciliation will not be admissible in Court if the parties proceed with the proceedings after such attempt fails. Section 89 of the Women’s Charter provides that it is the duty of the Court in a petition for a Divorce or Judicial Separation to give consideration to the possibility of a reconciliation of the parties to the marriage. Why should I choose Judicial Separation as an Option? There may be reasons that you may not want a Divorce which ends a marriage, such as on religious or moral grounds. Or you may not meet the 3 years’ restriction on applications for divorces. In a Judicial Separation, can the Court deal with Ancillary Matters? Yes, the Court can deal with these matters such as custody of children and maintenance and division of the matrimonial assets. Apart from Divorce, is there any other method of separation between Husband and Wife? An Applicant can opt to file for a Judicial Separation instead of a Divorce. Alternatively, the parties can engage a lawyer to prepare a Deed of Separation. Spouses who are separated no longer need to cohabit with each other. A judicially separated spouse cannot claim in the intestacy of the other spouse. What is the effect of a Judicial Separation? Once the decree of Judicial Separation is granted by the Court, the Applicant is no longer obliged to cohabit with the other spouse. What are the Common Legislations and Acts relating to Family Law? Please visit Singapore Statutes Online (Free) to access any of the above Acts.